Known as ‘The Granite City,’ Aberdeen is blessed with some of Britain’s best seafood restaurants and many a world-class malt whisky bar. This miniature guide will tell you all the unmissable sites. Of all the robust stone buildings, the magnificent Marischal College is by far the most iconic. Work up an appetite gazing at the ornate white towers, spires and pinnacles of Marischal College and then head to The Silver Darling for some seasonal, locally sourced seafood. Diners can enjoy panoramic views of Aberdeen Harbour—the oldest existing business in Britain—as they enjoy delightful dishes such as steamed sea bass, bouillabaisse or baked lemon sole. Whisky lovers are spoilt for choice in Aberdeen, as there are over 100 malt distilleries concentrated around the fast-flowing waters of the nearby River Spey. The Grill, with its elegant mahogany cabinets and 19th-century stylings, is a must-visit when in the city. Although it might be tempting, it’s certainly not advised to taste all of the 600 single malts on offer at this historic bar. The Tippling House is a slightly trendier drinking spot, perfect for those who wish to turn their whisky into cocktails. And the enticing Illicit Still is a low-lit drinking den named after the days when illegal whisky was brewed in the Highlands to avoid a London-imposed malt tax. The kids will love a visit to Codona’s. 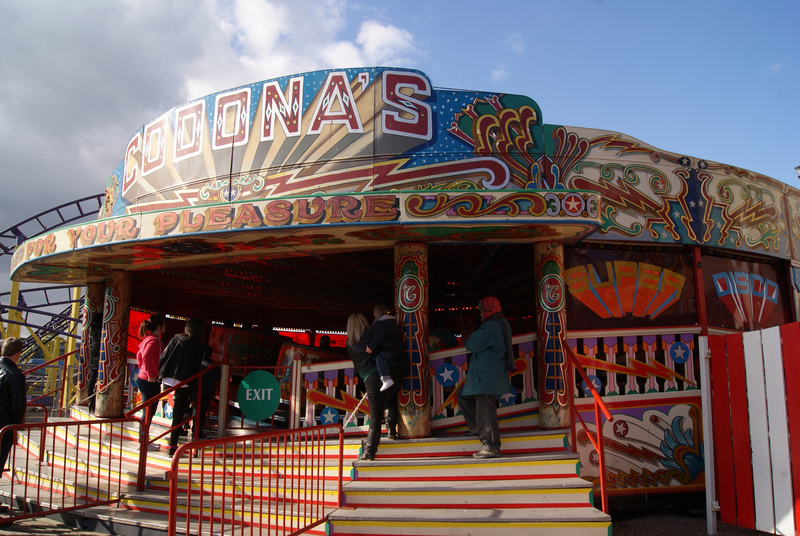 The seaside amusement park has all the fairground classics such as the waltzers, the dodgems and a towering big wheel, plus a few more thrilling attractions including a log flume and a roller coaster. After the rides, take the children for a round of mini golf, lend them some silvers for the practically-impossible-to-win grabby machines and let them cool off with a stroll on the nearby sandy beach. Around half an hour out of the city lies Crathes Castle, a 16th century National Trust site with 240 hectares of beautiful woodland gardens. It’s also the site of the UK’s most northerly GO APE hangout, where Gorillas (those aged 16+) and Baboons (those aged 10-15) are led through the treetops by experienced guides in search of their inner Tarzan. Climb apple picker ladders, ride zip lines, navigate treetop stirrups and swing through the foliage like an ape. Just make sure you are ready to assimilate with civilisation by nightfall when the park closes. There are more castles per acre in Aberdeenshire than anywhere else in Great Britain. If you have time, the six-day Scotland Castle Trail is an unforgettable experience that will take you to 19 of the county’s most interesting fortifications. The 311-mile road trip encompasses rugged coastlines, pristine manors, enchanting ruins, rolling meadows and intriguing whisky distilleries. Just follow the distinctive brown and white Castle Trail road signs. If you don’t have time for the Castle Trail then be sure to drop-in to one of Aberdeen’s five community cafés, where visitors can learn about the latest scientific discoveries for the price of a coffee. Café Scientifique takes place in the Union Bridge Waterstones on the middle Wednesday of each month at 7pm.